I had the distinct honor and privilege of serving as the conference chair of the biggest-ever SourceCon, held at the Georgia Aquarium in February. Part of my responsibility in that role involved kicking off the event, and I took the opportunity to touch upon my observations and opinions on the current state of sourcing, as well as what I believe will be the future of sourcing. Even as I was standing on stage I knew I would be writing a post on this topic, because it was apparent that there is much misunderstanding and debate surrounding sourcing, and certainly no shortage of opinion, qualified or otherwise. If you’re ready, I’ll walk you though my definition of sourcing, my observations on the current state of sourcing, and what I (and others!) see as the future state of sourcing. WARNING: If you don’t like/have time to read long posts, I suggest you turn back now. While I could have split this content up into 9 weeks worth of 500 word posts, I’d prefer to give you the goods rather than string you along. First and foremost, I believe it is critical to have a common understanding of what sourcing is. I define sourcing to include any and all activities whose primary purpose is talent discovery and identification. My definition is purposefully broad, because I find too many people seem to associate sourcing solely with searching the Internet with Boolean search strings. While some companies may limit their sourcers to exactly that – searching only the Internet and generating names for someone else to engage – sourcing is and should be much more than that. Sourcing encompasses the use of any source of human capital data – an ATS, Monster, LinkedIn, Twitter, Facebook, mobile apps, etc., and it can also include the phone, email, and messaging work of engaging potential candidates and networking with them to yield referrals and the opportunity to identify more potential candidates. Yes, networking with people – whether they be new hires, existing staff and management, or complete strangers – to find and identify potential candidates is also sourcing, regardless of method (electronically, over the phone, or in person). Of course, sourcing also includes traditional phone sourcing as effectively addressed and dramatically demonstrated at the SourceCon event by Conni LaDouceur. And finally, although passive and offering little-to-no control over the qualifications and experience of the talent discovered, job posting is even a form of sourcing – the primary purpose of posting a job is to discover talent. When it comes to the entire talent management lifecycle, nothing is more important than sourcing. That’s because, quite simply, the entire talent management lifecycle is completely dependent upon discovering and identifying potential talent in the first place. You cannot engage, build a relationship with, recruit, hire, retain and develop someone you haven’t found. Try cutting and polishing a poor quality diamond, or better yet – try cutting a diamond you don’t actually have. You could have the best diamond cutters in the world on your staff, but without a steady supply of high quality rough diamonds, you simply won’t be in business. When it comes to hiring and retaining, all future outcomes are dependent upon that magical moment when a sourcer/recruiter first finds and makes contact with a potential candidate. I believe that sourcing is largely misunderstood, undervalued, and under-invested in today. As the “Boolean Black Belt,” I believe I am qualified to say that sourcing isn’t all about Boolean logic. In fact, it’s hardly about Boolean search at all. As I have already explained, sourcing involves any and all activities whose primary purpose is talent discovery and identification. When it comes to leveraging information systems for sourcing, Boolean logic just happens to be one of the simplest ways to construct a query to retrieve information. Using information systems for talent discovery is actually all about human-computer information retrieval and analysis, which has nothing to do with query syntax. Sourcing human capital data isn’t about search strings – sourcing is a process. Because sourcing is a process, I am fascinated by people who believe that sourcing can be automated by software. That’s like believing that software development can be automated. While certain aspects and portions of software development can be automated, the entire process from concept, requirements analysis, design, implementation, and verification/test simply cannot be automated. The same is true of sourcing. If you think the analogy is a stretch – I can assure you it’s not. I encourage you to read this comparison of the sourcing process with the Agile software development, which ideally involves an iterative process. Don’t get me wrong – I totally understand why companies create software that attempts to automate the sourcing step of the talent management life cycle. It’s because there is a common misconception that sourcing is “hard” and/or that it is a mysterious “art,” and that it can be laborious and difficult to learn. However, I can definitively tell you that sourcing isn’t intrinsically difficult, it can easily be broken down to a science (that’s the process part I referred to above), it doesn’t have to be terribly time consuming, and it can be effectively taught to others. Unfortunately, the people who are often in positions to consider purchasing tools and technology for sourcing aren’t the most qualified to assess whether or not the software actually performs as claimed, nor are they assessing them for their ability to find the best people. To many, some fast and easy search results are enough. I always like to point out that anyone that is easy for you to find is also easy for your competitors to find. Where is your competitive advantage? It certainly doesn’t lie in a small amount of easily identified people. Granted, sourcing CAN be incredibly time consuming and difficult if you are expected to produce results with little-to-no support or investment. I am both amused and disappointed when I speak with sourcers, recruiters and leaders in talent acquisition roles and discover that they aren’t given any resources beyond an unsearchable ATS and the Internet to source talent. That’s like expecting a gourmet meal from a chef, but limiting them to whatever ingredients they can find out in the out in the woods, and not giving them any equipment to cook with. It should be obvious that if you want the best possible meal, you would make sure your chef has access to the best ingredients and has the right equipment to do the job. The same goes for sourcing and recruiting. Although the Internet can of course be used to find information about people, it is critical to recognize that the Internet was neither built nor intended for sourcing talent. As such, it would be foolish not to recognize how ridiculous it is to rely heavily on Internet search engines for sourcing success. The Internet doesn’t have nearly as many resumes as some claim, and while it does have quite a bit of non-resume human capital data (think lists, directories, press releases, patents, blogs, etc.) there are significant intrinsic limitations associated with searching the Internet for talent identification. Ultimately, searching the Internet is largely an effort in garbage sifting, especially when using Internet search engines such as Bing and Google (including custom search engines). If you want your sourcers/recruiters to be effective, give them effective and purpose-built tools. Don’t ask them to hammer a nail with a screwdriver and then wonder why they have a hard time getting the job done, or why your company isn’t winning the war for talent. Speaking of purpose-built sourcing tools, job board resume databases are highly searchable, contain up to 10′s of millions of resumes filled with deep and actionable human capital data. So why is it that the 2012 CareerXroads Source of Hire: Channels of Influence Study showed that when it comes to using job boards, more than two-thirds of the respondents (68.6 percent) said more hires are made from postings than from resume searching, and that only 5.7 percent said they make more hires by searching the resume database than by posting jobs. I was shocked when I saw that statistic. Although I know that “post and pray” is quite prevalent whether people like to admit it or not, 5.7% is a surprisingly low number. While posting jobs “works,” it is a passive sourcing strategy (if you can even call it a strategy), offers you absolutely no control over candidate qualifications, and only attracts the smallest percentage of available talent (active job seekers). Now, the CareerXroads study focused on corporate recruiting functions – I would assume (hope!) that staffing agencies would have a much higher percentage of hires attributable to searching job board resume databases as opposed to posting jobs. If you are an agency recruiter/manager/owner, can you please weigh in on this? Over the course of my career, I would estimate that at least 95% of the hires I’ve made using job boards have come from searching the resume databases, and 5% (at best!) came from posting jobs. The explanation is easy for me – searching for talent is an active strategy that affords a very high level of control over critical candidate qualification and experience variables, and the advantage of being able to specifically target the deepest end of the talent pool – passive candidates and the elusive non job-seekers. So why aren’t more companies using purpose-built talent sourcing tools such as job board resume databases that offer direct access to 50M+ people? Is it because people assume the only people you can find in job board resume databases are active candidates? My research has shown that typically 75% – 80% of the resumes on an average job board are dated over 30 days old. Many resumes are 1, 2, and 3+ years old. “Old” resumes are not worthless and no one should care if they are slightly out of date – the person behind the resume still exists, they now have more experience, and you have their actionable data (phone + email)! Statistically speaking, a random sample of resumes over 30 days old on any given resume database would show you that 66% of them would end up being passive or not looking. Yes, that’s right – there are more passive candidates in resume databases like Monster by volume than active candidates. Now that we’ve cleared the the whole active/passive thing up – is the reason why there isn’t more usage of online resume databases because a large percentage of recruiters aren’t adept at information retrieval? I can understand why many recruiters don’t search their ATS/CRM system – a surprising number of them aren’t very searcahble and trying to find someone with specific experience in a specific location can be like pulling teeth, if it is even possible at all! 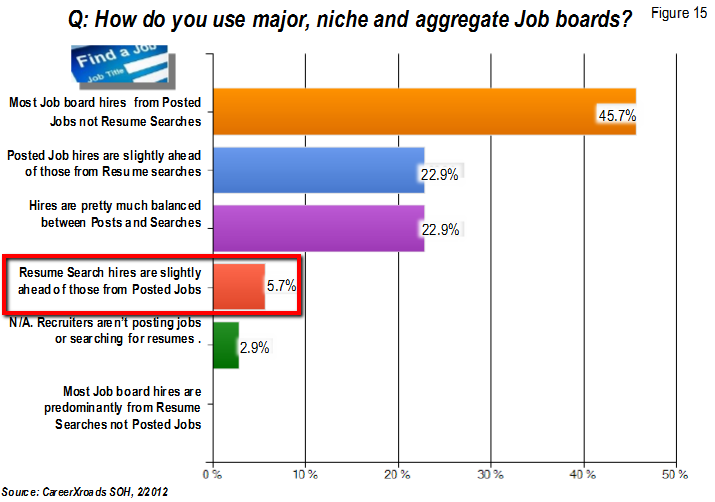 However, Monster, Careerbuilder, Dice and many other job board resume databases are highly searcahble, so to be quite honest, I am confused as to why the the number was so low for the percentage of CareerXroads Source of hire respondents who attributed more hires to resume database searching than job posting. 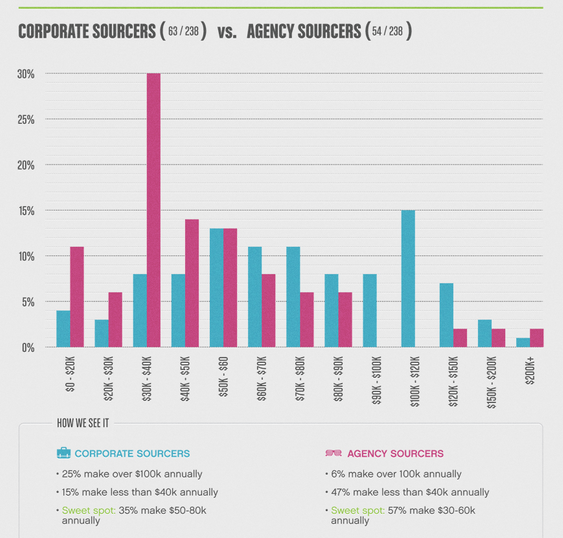 The 5.7% figure doesn’t make the current state of sourcing look very good. In fact, given the mountains of rich, searchable, and actionable human capital data these resume databases offer, it makes it look quite sad. Many companies tout that their people are their greatest asset, and it has been argued that the ability to attract, develop and retain great people is the only sustainable competitive advantage in business. However, one does not have to look far to see that many companies clearly do not value their sourcing and recruiting function in that they do not invest in and value their sourcing capability. Unfortunately, they seem few and far between. Companies that produce products and deliver services highly value the people responsible for conceiving and creating the products and delivering their services, but why aren’t the people responsible for finding the people who ultimately create the new products and deliver the services just as highly valued? Unfortunately, HR, sourcing and recruiting are often seen as administrative roles by hiring managers and executives, and they seem to completely miss the connection between the great people in their company and how they actually got there in the first place. However, the same does not apply to sourcing and recruiting. And I believe it should. Imagine “20% time” and hackathons for sourcing and recruiting, designed to enable them to develop more effective ways of finding and recruiting the best talent – the people who will be developing, delivering, and supporting the new products and services that will bring their company millions of dollars in revenue. When it comes to compensation, SourceCon recently conducted a sourcing compensation survey which found that 23% of sourcers made less than $40,000 annually. Again, I find myself disappointed but not surprised. There are too many people and companies who view sourcing as a low and even entry level position. This is very odd, because in the talent sourcing value stream, sourcing (talent discovery, identification, and engagement) provides the highest value. As I mentioned previously, the entire talent management lifecycle is completely dependent upon discovering, identifying and engaging potential talent in the first place. You simply cannot engage, build a relationship with, recruit, hire, retain and develop someone you haven’t found. So when I see such a large percentage of sourcers being compensated as entry level professionals, it’s quite clear that either those companies don’t fully understand and appreciate the true value of sourcing, or those companies don’t have very productive/effective sourcers, or both. The human element of sourcing and recruiting hasn’t changed much in the past 20 years, nor is it likely to in the next 20. 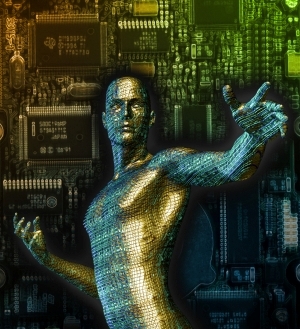 The one major shift has involved technology, and that shift is far from over. There is more professional data available generated by more people every minute of every day than ever before – the volume, variety, and velocity continues to increase and there isn’t an end in sight. Resumes and social network profiles are created and updated, and mobile and social status and location updates provide real-time data and insights into 100′s of millions of people, creating unprecedented amounts of information to be leveraged and analyzed for those who have the insight and ability to do so. Access to all of this data is fantastic and offers unprecedented opportunity for sourcing and recruiting, but data has absolutely NO value without the ability to retrieve precisely what you need when you need it. If you do happen to have the access AND the expertise to retrieve precisely what you want, the next opportunity is to leverage that data for insight. Through analysis, data yields information, which can provide knowledge, which in turn can provide insight and the ability to make informed, data-based decisions. Insights such as where your best employees really come from, rather than targeting the schools, companies and specific experience the hiring manager likes (think Moneyball Recruiting). Decisions such as who to try and engage and recruit to become your company’s next top hire, whether they’re already working for your company somewhere, working for a competitor, or still in school. While it’s not new to use data to find insights in business (e.g. business intelligence), it is new to use human capital data to uncover insights such as where your best hires come from, and who you should try to engage and recruit who has the potential to become your company’s next top hire. It’s great that we have all of this human capital data, but once you have it, how do you explore it, learn from it and use it? All of the data being generated is of no value if you can’t retrieve it and begin to make sense of it to make informed, intelligent decisions, and that’s where data science comes into the picture as the next big opportunity in sourcing and recruiting. Does this sound remarkably like any sourcers or recruiters that you know who are passionate about finding great talent? The leap that needs to happen from the current state of sourcing (basic keyword searching of resumes, social network profiles and updates, and Internet content, not fully leveraging the stockpile of rich and valuable human capital data trapped in your ATS, not mining the “deep end” of resume databases, etc.) is a jump forward to aggregated and parsed human capital data that can be sliced and diced surgically, both manually and algorithmically, for predictive insights to drive behavior (where to source to find the people you need, who is highly likely to be both qualified for and interested in your opportunity, who to recruit & hire, etc.). Human capital data has a high degree of predictive value – it can give you predictive insight into what kind of responsibilities they’ve been entrusted with, the work a person is capable of, what they would likely want to do next in their career, how good they are at what they do, where they would like to work, what kind of compensation they are likely to be willing to accept, and even who they are likely to know – from specific people to certain types of professionals, which can accelerate networking and referral recruiting. In sourcing and recruiting, what can be automated today is keyword searching and basic semantic search. However, there are massive holes and limitations in those solutions, most of them a direct result of the imperfect and dynamic nature of human capital data as well as the unique challenges of finding people with specific knowledge, skills and experience. As Monica points out, communication and creativity is not so easily automated, if it can be at all. In sourcing and recruiting – the communication piece comes into play when discovering and getting to the core of what the hiring manager is really looking for and needs in a new hire. Ultimately, you cannot directly translate hiring requirements into keyword search. Well, you can try, but that’s basic keyword search, or what I would call Level 1 Talent Mining, which is intrinsically limited and excludes many great potential candidates. The creativity in sourcing comes into play when interpreting hiring profiles into sourcing strategies that have a high probability of quickly identifying the right people, whether they say the right keywords or not – this goes well beyond keyword search. Evolving sourcing from keyword search to a more data science-based approach to human capital becomes even more powerful when coupled with big data. While there are many definitions of big data, the concept of big data centers around huge amounts of data that are not only increasing in volume, but also in velocity and variety. The data velocity aspect is the speed at which new data is generated. One example of the increasing velocity of human capital data would be social media posts/updates. For example, Twitter crossed the 200M tweets/day mark last year – that’s 1 billion tweets every five days. Now consider how much data is being generated on Facebook! If you’re new to the concept of big data – it’s been a big deal for a while, just not in recruiting. And it’s big business – a $50B market in 5 years! And if you think big data is strictly an I.T. play – you’re dead wrong. The majority of the 2011 big data-related revenues came from services (44%), followed by hardware (35%), and software (21%). That’s ALL industries and sectors – including HR, staffing and recruiting. Will your organization be a leader, a follower, or a loser in this space? Big analytics involves analyzing massive amounts of structured and unstructured data to deliver unique insights or analysis. We all have access to massive amounts of structured (parsed ATS/CRM resumes, LinkedIn profiles, performance assessments, etc.) and unstructured human capital data (Facebook, Google+ and Twitter profiles and updates, mobile check-ins and updates, recommendations/awards/endorsements, blogs & blog comments, press releases, etc.). The organizations who can aggregate all of this data (no more direct Internet search!) and filter the data with BI and visualization tools will be able to gain actionable insights into the types of people and specific individuals to identify, engage and recruit who have a high probability of being top hires and significant contributors – whether they are already somewhere in your organization, working for someone else, or still in school. As many corporate executives often say, the only sustainable competitive advantage is the ability to find, attract, hire and retain great people. Big data and big analytics are the weapons that will power this sustainable competitive advantage and will position the companies that execute this strategy properly to win the war for talent. In competitive organizations, the sourcers of today will evolve into data scientists that specialize in human capital data, with specific responsibility for leveraging data for competitive talent intelligence, to identify what really makes up their top hires, where to find them, and how to effectively engage them. A critical piece to note is the aggregation of structured and unstructured data into a central repository – forward thinking organizations will realize there is a low ROI to having people manually searching the Internet (using Boolean search strings or custom search engines) and multiple sites separately and manually. Just as with data warehouses and data marts that power business intelligence, the power of human capital data multiplies when it is aggregated from multiple sources into a central talent repository where sourcers (data analysts) can slice and dice the data for insight with more powerful query and analytics tools than any single source can offer. By the way, the technology already exists to automatically pull human capital data from the Internet, resume databases, LinkedIn, Twitter, Facebook, blogs, etc. – TheSocialCV is an example of what can be done with free Internet and social data. Now imagine something similar that sits within your organization that automatically aggregates a mashup of externally sourced human capital data (social profiles and activity, mobile activity, resumes, etc.) and combines it seamlessly with your ATS/CRM and workforce analytics data. Drool much? Many companies actually already have the ability to develop these solutions for themselves right now. If any companies are working towards this kind of solution right now, they’re keeping it a secret, and for good reason – because it gives them a competitive advantage. 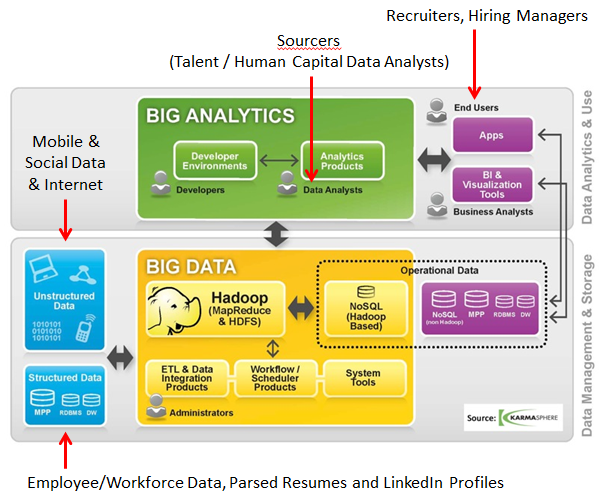 If you think I am alone in my view of how important big data will be in the future of talent sourcing and acquisition, I suggest you read this excellent article by Andrew Karpie, who is a Research Analyst for Staffing Industry Analysts. Interestingly, he holds an MS in Quantitative Policy Analysis from Carnegie Mellon University. “What is not always clearly pointed out is the implication of the large amounts of data and information that will come along with these new ways of finding, relating to, and securing talent. For that there is another buzz word: “big data,” or the massive amounts of data that are generated daily by people (talent, candidates) who are present and active on the web, leaving a trail of information (electronic signatures and footprints). So what are some these implications? First of all, I believe a greater weight of importance will be put on “sourcing processes and specialists,” who will be charged with the development of talent communities and candidate pools. Recruiters will be as important as ever in engaging candidates, relating to them, and moving them through the many steps of the assessment, selection, and hiring process. But they will do so from a starting foundation of sourced and pre-qualified candidates who have been gathered into talent communities. This gathering and culling of candidates will increasingly be performed through data-intensive sourcing processes (sifting through “big data” for electronic footprints and finding the right patterns of information to identify talent and engage and form relationships with potential candidates). These are exciting times to be in sourcing and recruiting! Make sure you’re poised to ride the big data/analytics wave, or you might find yourself swept under by it.